Can you give your rabbit a Blanket? Naturally, wild rabbits tend to adapt easily with cold weather. In fact, wild rabbits would easily get more stressed in extreme heat than in extreme weather. In fact, they can deal with as high as low as 32 degrees Fahrenheit but have a hard time adapting with temperatures as high as 85 degrees Fahrenheit. They are technically cold-weathered and can easily survive in cold areas for as long as they have good shelter than could protect them from the cold wind and cold water. 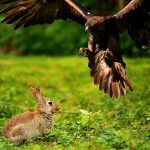 However, there comes the problem when a wild rabbit becomes used to indoor rabbits. They get used and adapt themselves to the warm and comfortable temperature inside the house. 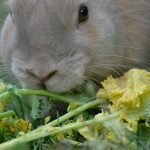 Changes in temperature may affect the attitude of rabbits especially when they have been living in warm conditions for a long time already. The best thing to do now during cold conditions is to ensure that indoor rabbits are protected. 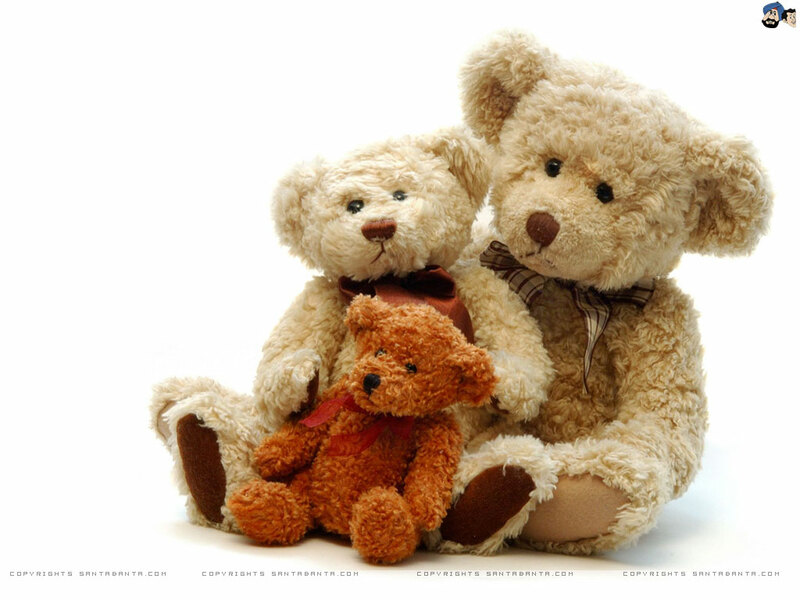 They have to feel warm and comfortable so as not to get hyper and too playful during winter. 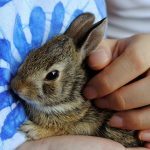 Many pet owners tend to prepare their bunnies with soft beddings and warm blankets for their rabbits to snuggle up with during the cold weather. Most of the pet owners say it works good for their rabbits while others say it is dangerous for them. Yes, but be sure to watch out and monitor your rabbit. Giving rabbits soft blankets are good especially since rabbits want to snuggle with the soft fabrics whenever it is cold. They love to play with and roll around these soft blankets especially during sleeping time. The thick, soft, and smooth fabrics help warm the feeling of the rabbits that put them to good sleep at night. It is very important to choose the best fabric for the rabbit’s blanket. In fact, there are good fabrics that are perfect for wrapping the entire bodies of the rabbits just like fleece blankets. Fleece fabrics are soft and are safe to use for rabbits because they are warm, soft, and seamless. 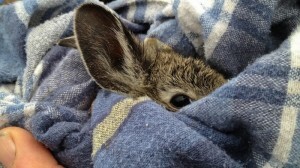 However, giving fabrics to rabbits as their blankets should be tightly monitored. For one, fabrics with small holes are a big no for rabbits because they might get their small feet stuck into these tiny holes. It might cause them to be afraid, panic and get stressed which will be bad for their health. Getting their feet stuck in these holes may also cause them an accident especially when the owner is away. Another thing to look out when they are wrapped with blanket is that the rabbits may start chewing the fabrics like food and they might just get choked. Being wrapped with a blanket may also cause them difficulty in breathing especially when they are sleeping under the blanket for a long time. 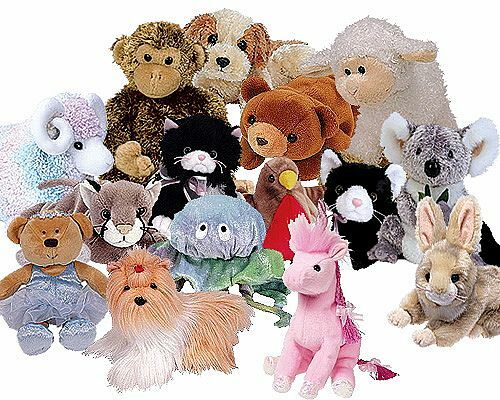 Being under the blanket may suffocate them which can lead to serious illness and eventually, to death. Given these possibilities, it still cannot be denied that rabbits love to cuddle and sleep under soft and smooth blankets. It just requires proper monitoring and constant checking of the owner. To be sure, you can also use other materials to warm indoor rabbits during cold season. A grass mat would also be perfect as it would be hard for the rabbits to chew that kind of material. There are others who use a plain cardboard which is harder than the usual just to serve as a mat for rabbits when they’re sleeping. 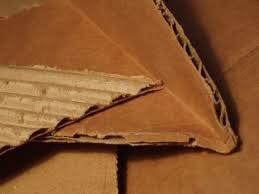 Cardboards are more affordable and a lot easier to prepare. 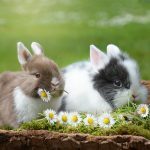 There are also others who use a small tub for their rabbits though it is not really advisable to use since rabbits are known to be playful and they like going around. Getting stuck in a tub would limit their mobility. 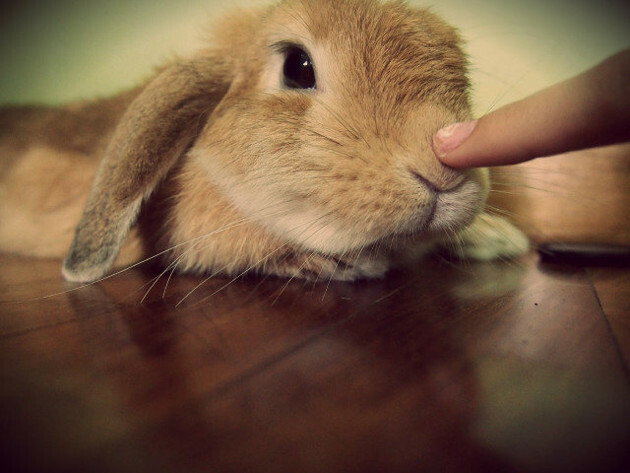 However, never let your rabbits sleep on the cold floor without any mat. The floor is cold and sometimes wet, and the rabbits will get stressed when they are exposed to these. 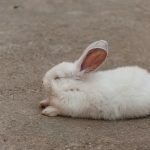 It’s your responsibility as a pet owner to ensure that your rabbits always get enough sleep and that they feel warmer and more comfortable especially when the weather gets colder. Proper balance between keeping them warm through blankets and choosing the right material should be considered, and tight observation on the movements of the rabbits should be done. You just have to be in full control of your pet as an owner so will always be assured that they are comfortable and healthy as ever. Be careful-your rabbit may pee on the blankets. Mine did.